I'm happy to announce that my Home Depot patio challenge is live on The Home Depot Blog today! I'd love for you to head on over and check it out. It was such a privilege to get to work with them again. I'll be doing a recap post soon because I took a million pictures! I'll also be breaking it down and sharing some of the simple DIYs I incorporated into the space. Thanks again to the Home Depot for having me! Beautiful job! 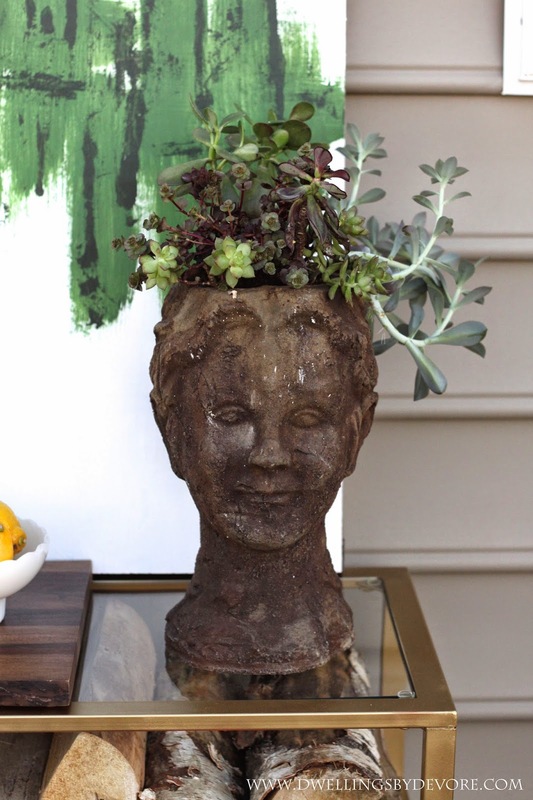 I love the succulent planter and I have been searching for a planter bust for the past 2 years like the one you have pictured. Where did you find it? Oh yay! Looks great already, headed over now! Love everything about this! 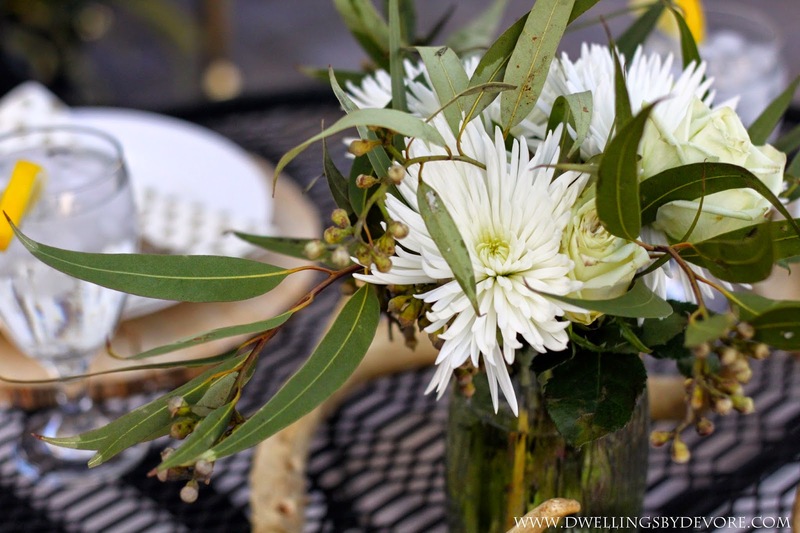 The tablescape is perfect, and I love the little checkers side table - what a fun idea! Great job Bethany!! Absolutely amazing! Love that succulent mirror you did! Love this look so much! Where did you buy fabric for abstract pillows? Wow, Bethany! It looks awesome - heading to check it out! Cannot wait to see the full thing...you are so dang talented!!! Love everything! Can you source the b/w striped chair cushions?! Thanks! Thank you! Here's the link for the cushions: http://www.homedepot.com/p/Home-Decorators-Collection-Maxim-Classic-Sunbrella-Bull-Nose-Outdoor-Chair-Cushion-1572620260/204102444 They have several different sizes. Thanks so much Gabbi! You're so sweet! Thanks Laurie! We are really enjoying it! Thank you! They are actually just plain white pillow covers from IKEA. Thank you! I actually found it at a local coffee shop. They were selling them, I think someone local made them? I've seen them occasionally at Homegoods. Thank you Julia! Can't wait to see yours! gorgeous work! so many amazing details. 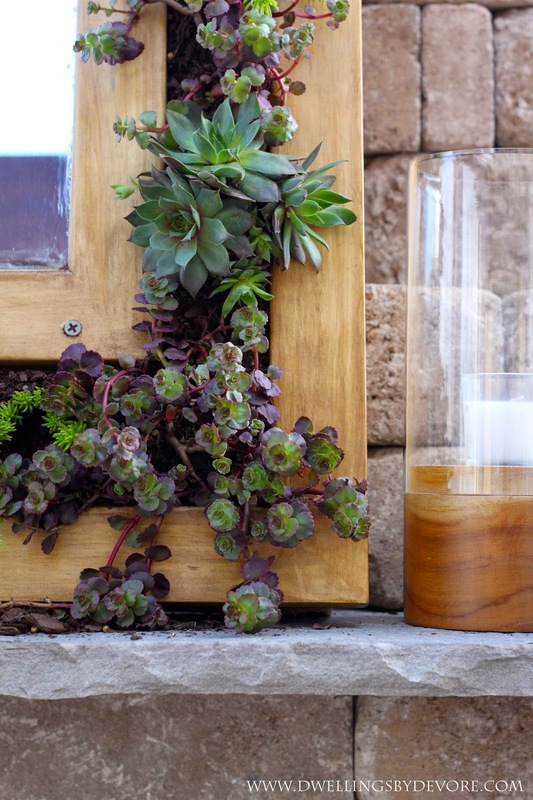 i'm dying over the succulent planter!